This is an extremely competent and attractive painting for an artist who seems to have vanished from the public radar. 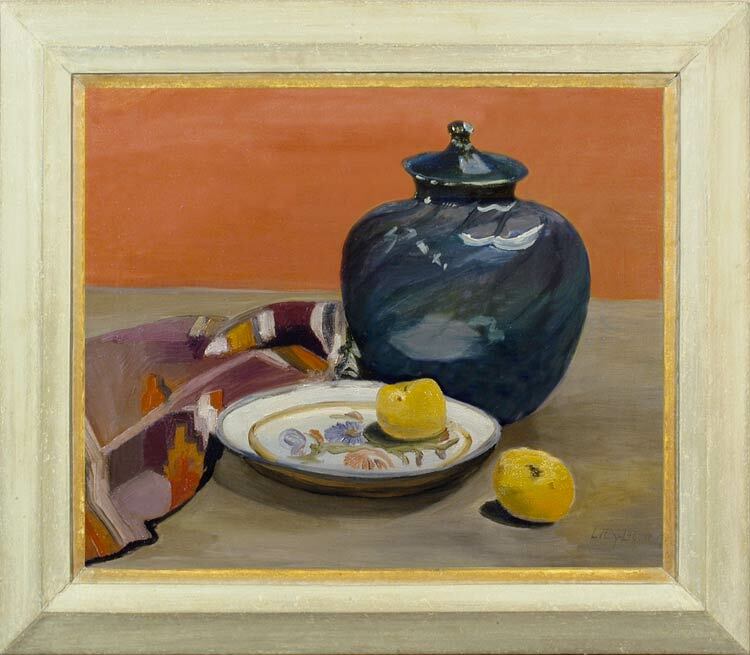 The particular harmony of colour is reminiscent of the work of the Bloomsbury Group, and their descendants in the 1940s and ’50s; and the treatment of the still life elements indicates a student trained to reproduce form, perspective and the effects of light; one who was confidant in tackling an object such as a glass jar, with its attendant transparencies, highlights and reflections. The result is very successful – warm, muted, and extremely liveable-with. Very little is known about Lily-Govaert, and it may be that this picture is by an amateur painter whose body of work is too small to have impinged upon the public arena; or that it is by a woman who studied painting but gave up a career for marriage and children.